The GALICIAN BUSINESS GROUP GESTÁN was founded in 2002 to give an answer to the strong and growing demand for waste management services in Galicia. Throughout the years, GRUPO GESTAN has expanded and diversified its business lines to areas like waste and water treatment and energy, completing a cycle and providing sustainable solutions to the industries as an Environmental Service Company. 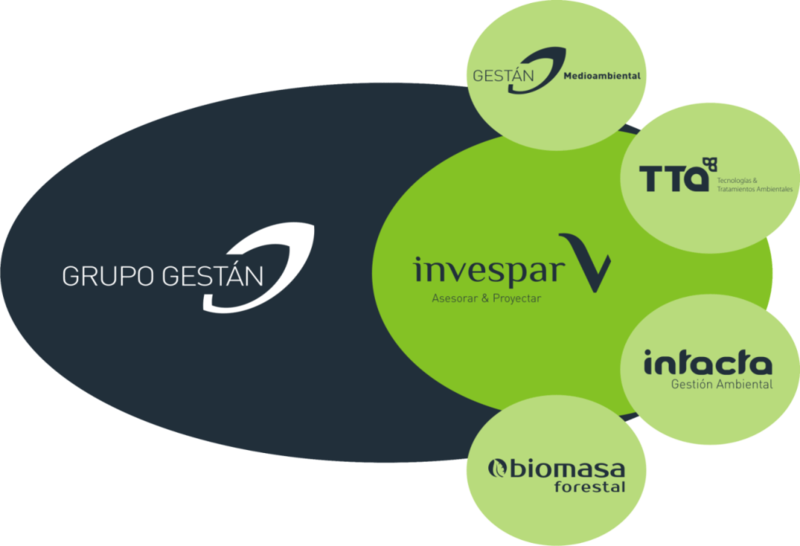 INVESPAR DESARROLLOS is the parent company of GRUPO GESTAN. It is the dominant organization with control over its subsidiaries and its capital is fully owned by the Pardo family. With an annual turnover of €20,000,000, nowadaysGrupoGestáncreates100direct jobs and over 20 indirect Jobs. GESTAN MEDIOAMBIENTAL S.L., AUTHORISED FOR WASTE MANAGMENT in the fields of transport, storage, waste recovery and waste removal by the Galician Government. It has two treatment plants in Arteixo and Sobrado dos Monxes, both in A Coruña, and a fleet of over 1,000 containers and 18 vehicles. COMPREHENSIVE CONSTRUCTION AND DEMOLITION WASTE MANAGEMENT. TECNOLOGÍAS Y TRATAMIENTOS AMBIENTALES S.L. (TTa), focuses on the design, implementation and outsourcing of water treatment plants. INTACTA GESTIÓN AMBIENTAL S.L. is the Engineering branch of the group. It focuses on the research and development for the diversification of the group and the implementation of new projects. INTACTA GESTION AMBIENTAL S.L. has also implemented an Environmental Emergency Service for the whole Galician region. BIOMASA FORESTAL S.L. 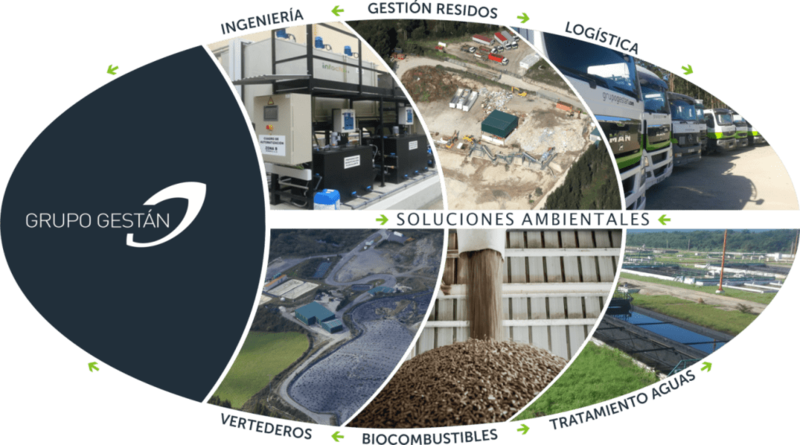 focuses on the production of solid BIOFUELS (wood pellets) from forest biomass, enhancing the Galician woods and benefitting the environment. In 2012 Grupo Gestán became a major shareholder of Biomasa Forestal S.L to complement its activities with the sector of bioenergy by using the remains of first or second wood transformation processes as raw materials (sawmills, furniture factories, etc.) and employing low value biomass residues (leaves, bark, etc.) and recycled wood as fuels for the boilers in the manufacturing and drying processes. Bulk industrial pellet for export by sea from Ferrol's port or for big national distributors by land. Pellet in bags for small domestic consumers (national and international).